.Its dimensions are : 30 L x 14 W x 17 H cm. Size in cm : 30 L x 14 W x 17 H cm / Size in inch :11.81" L x 5.91" W x 5.12" H cm. 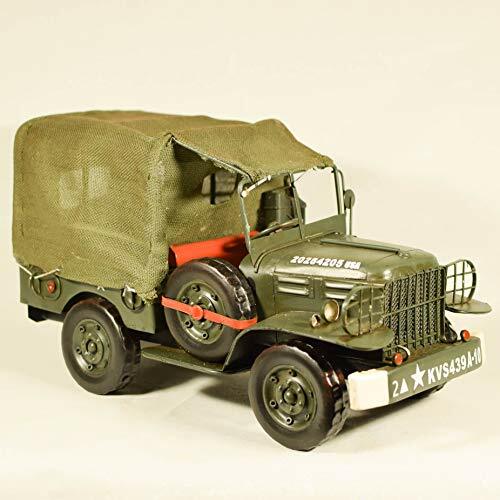 Metal Art Army Jeep Figurine. Unique veteran / military / soldier gift. View More In Collectible Vehicles. If you have any questions about this product by EliteTreasures, contact us by completing and submitting the form below. If you are looking for a specif part number, please include it with your message.